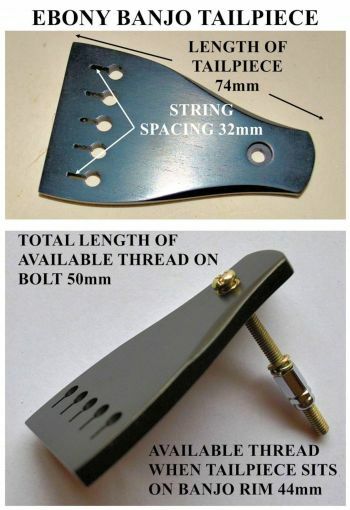 Location: /Accessories/Banjo/Tailpieces/EBONY BANJO TAILPIECE DESIGNED FOR NYLON OR GUT STRINGS. 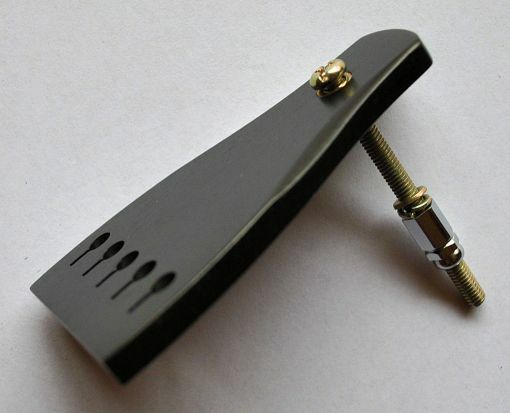 The ebony tailpiece sits on your banjo bezel (tension ring) in the same way as the usual tailpiece. 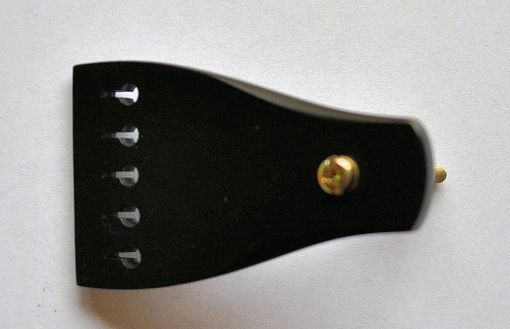 Before you purchase, be sure that the available thread on the fixing bolt is long enough to go through the hole in your banjo end bolt, with enough thread poking through to attach the bolt. If the thread is too short, you will need to purchase a longer fixing bolt, which we cannot provide. 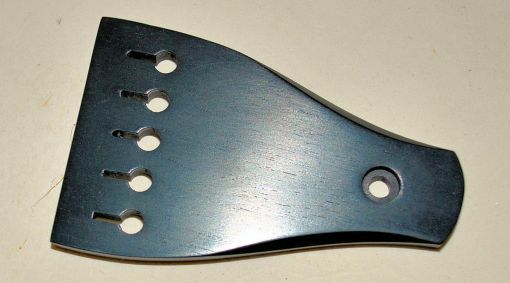 Do not over tighten the fixing bolt or the end of the tailpiece will lift, you need it laying flat on the tension ring. Once the strings are fitted and tuned to tension, they will lift the end of the tailpiece clear of the vellum/head. Tie a knot at the end of each string, the strings must extend from the bottom of the tailpiece, with the knots on the top of the grooves.